She is introduced to homeopathy when she started to take care of her own kids, as they were concerned with a prolong cough, sometimes ending even in asthma. As a result of homeopathic treatment, Zahra’s children are quite well and rarely get sick now, as their body has become stronger and resist against most common diseases. As a healthcare provider, she got to know that homeopathy is very effective treatment without side effects. As such, she took homeopathy program in 2004 and got her post-graduation diploma. Upon arrival to Canada, she continued her education in McMaster University (Hamilton, Canada), and received her certificate of clinical research associate (CCRA), which certifies her to work in clinical research departments. 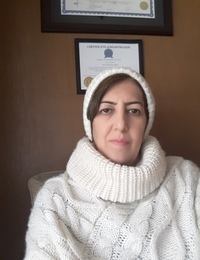 Zahra took advanced homeopathic courses and received her second post-graduate certificate from the Ontario College of Homeopathic Medicine (OCHM), enabling her to practice as a qualified registered homeopath with the College of Homeopaths of Ontario (CHO). She constantly attends international conferences, seminars, webinars, and courses offered by pioneer homeopaths from around the globe to learn from the experts in the field. Zahra’s patients approach her from all over the World, via her office visits in Canada, or her overseas patients by the help of social media technology.